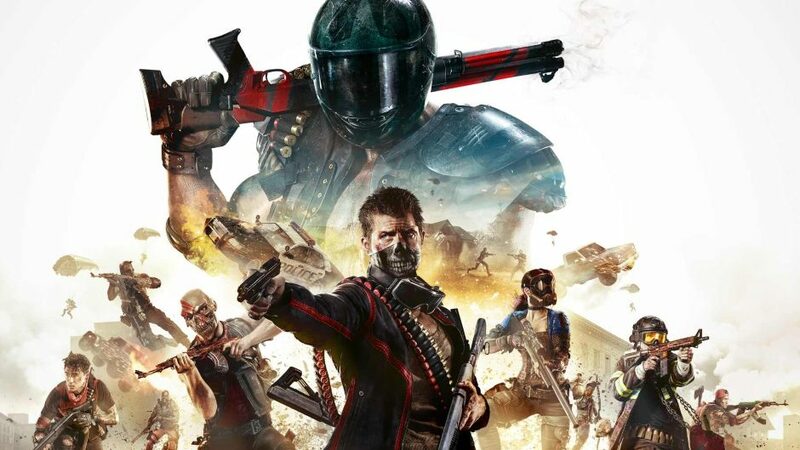 Having originally popped up in alpha over three years ago, H1Z1 can technically claim to be the first battle royale game. This fact offers little consolation in 2018, however, when the title has only just now limped its way to a full release and the genre has already been dominated by Fortnite and Player Unknown’s Battlegrounds — two considerably better games. I won’t even pretend that I wasn’t spending every second of H1Z1 daydreaming about playing a version of it that’s smoother and more pleasant to look at. 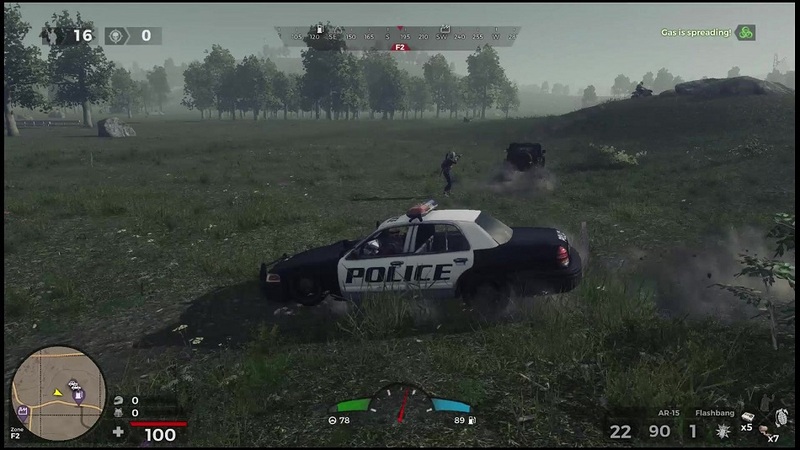 If the idea behind this game was ever novel, developer Daybreak seems to have missed an opportunity by keeping it in early access for so long. And given the shoddy state that H1Z1 is still in, the delay doesn’t seem to have paid off. For those unfamiliar, a battle royale game drops a hundred players onto a massive map, with the simple rule that the last person standing wins. (H1Z1’s maximum player count supposedly exceeds a hundred, though I’ve yet to be in a match where that happens.) Players must stay within a constantly-shrinking safe zone, which is a mechanic that keeps the pace of the match steady even as the herd thins. Although the genre has only been a pop culture fixation for a year or so, the market is already so oversaturated that Cliffy B, one of the most prolific game designers on the planet, bankrupted his company by hastily jumping on the bandwagon. The genre seems to have already peaked with Epic’s 800-pound gorilla, so if H1Z1 is only just now releasing in full, what makes it unique? The only answer I can come up with is that it’s hideous. I wish I was being facetious, but H1Z1 is ugly to the point that the visuals actively detract from playability. The draw distance is laughable – I’m not joking when I say that players literally can’t even see the ground when they begin parachuting in at the beginning of the match. Once they’ve landed, the entire map seems to be covered in a thick fog. The colors are washed out. The modeling doesn’t provide distinctive silhouettes. This is one of the least-readable multiplayer games in recent memory, and I pity anyone who doesn’t play this with headphones, because relying purely on visuals is a fool’s errand. The only other noteworthy feature of H1Z1 is that players’ starting locations are randomized, as they have no say over where they drop. The game therefore lacks the fundamental sense of risk-and-reward of picking an opening strategy — say, beginning at the edge of a map and encountering fewer players, but possibly having to leg it farther to get to the safe zone. In H1Z1, I just need to settle for the relatively small radius that I can reach with my parachute. It doesn’t help that the map itself is weirdly sparse and full of massive, flat stretches with very little in the way of even natural cover. 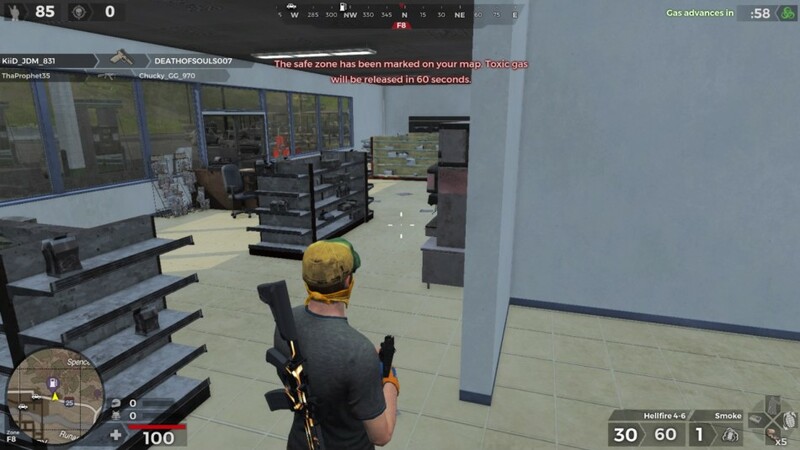 H1Z1 proudly proclaims that it features no harvesting of materials and no system to build structures with. While that always felt extraneous in Fortnite, that’s only because the terrain is busy enough by default. Here, my greatest defense was often the hope that my opponents had as much trouble seeing things as I did. Disclosures: This game is developed and published by Daybreak Game Company. It is currently available on PlayStation 4 and PC. This copy of the game was obtained via free download (along with a DLC pack provided by the publisher) and reviewed on the PlayStation 4. Approximately four hours of play were spent in multiplayer modes. 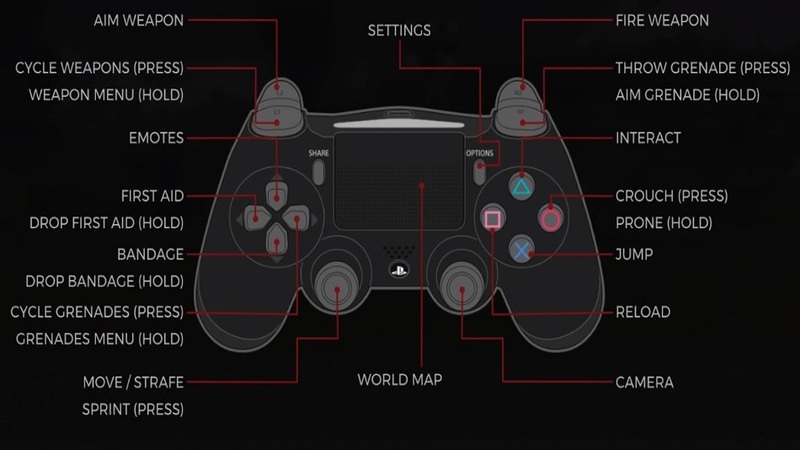 There is no single-player mode. Parents: According to the ESRB, this game is rated Teen and contains Violence and Blood. There’s a ton of shooting, and players emit clouds of blood when hit, but it’s nothing graphic. Deaf & Hard of Hearing Gamers: Although the game is technically playable without sound, it’ll put players at a significant disadvantage, as this is a competitive game in which audio cues can be extremely helpful in tracking down players or sensing threats. There are no visual indicators when shots are being fired.